Who can enter: Open to all BA and MA graduates whose final degree work is indisputably a work of photographic art and who get their degree in photography during the period from 1st July 2011 to 31st July 2013. It is an international competition organized by the University of Arts in Poznan with the objective to showcase and promote the best BA and MA diploma works in photography from all over the world. The Grand Prix winner will be awarded a cash prize and an invitation to a solo exhibition during the 9th Biennale of Photography in Poznan in 2015. 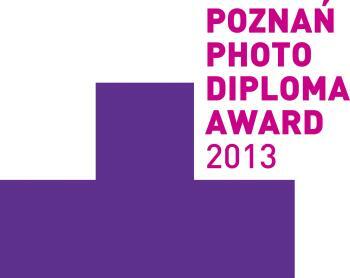 Competition results will be announced at the Award Ceremony on 15th November 2013 during the 8th Biennale of Photography in Poznan. Image requirements: sized exactly 2400 pixels on the longest side, JPEG format, saved at best quality, must be in a ZIP file up to 15 MB. Online submission of digital photographs via the website. Prints to be delivered if selected.